I hope you are all having a good week so far! We are nearly to Friday, which means we are so close to the weekend, and the weekend=sleep. These past few weeks have been so incredibly busy, and my sleep schedule has definitely been suffering. I can't wait to just sleep in this weekend and relax a little bit! For today's post, I'm going to be talking about Keratosis Pilaris, or chicken skin (not my favorite term), which are those pesky little bumps on arms, and sometimes thighs. I often get a couple on my cheeks in the winter when my skin is dry, and I have always had them on my arms. When I was younger, I was extremely self-conscious of them, because they can be very unsightly at times. As you already know, I didn't have great confidence when I was younger, and my arms were a huge part of that. I hated wearing short sleeve shirts because they showed my arms and Keratosis Pilaris, so in turn, I hated my arms. This was problamatic because I was always in dance and swim while growing up, but I actually never really thought too much about it, because I was too focused on the activity at hand. My teammates were like family, anyway, so I felt comfortable enough around them to show my arms. These bumps are usually white or red, and itch sometimes, but are otherwise not physically bothersome, other than not looking very nice. They are the results of the buildup of keratin in hair follicles, which blocks their growth and forms these bumps. The cause for this extra keratin is unknown, but has been linked to a couple of different things, like gluten intolerance. Funnily enough, when I stopped eating gluten because of my allergy, my bumps improved greatly. I can't say with certainty that these two things are linked, but other people have noticed this as well. According to doctors, KP is supposed to go away by the time you are 30. My mom has KP as well, but once she was around my age (19), hers started improving greatly, and they were essentially gone when she reached her twenties. My KP did improve a lot once I got to high school, which was really nice. Today, I don't have nearly as much as I did when I was younger, but I also know how to manage it a lot better now. My mom and I tried most everything to get rid of my KP since it bothered me so much. We asked my doctor about it, who prescribed a couple of creams that didn't really help, and I couldn't use them continuously anyway since my skin is so sensitive (we're talking extremely sensitive here, so much so that I have to use baby sunscreen). Then we heard of KP Duty from Derma Doctor, which you can get from Sephora, and the product seemed very promising. We excitedly bought it, hoping for the miracle results it promised. I gave the lotion a couple of months, and I didn't notice a difference at all. It was a good moisturizer, yes, but for that price, it was not worth it at all. 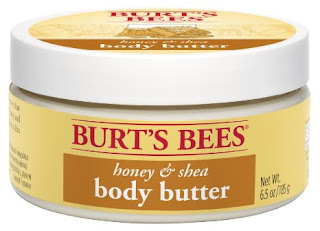 After that, we decided to try all-natural products, so I started using a Burt's Bee's honey body butter. 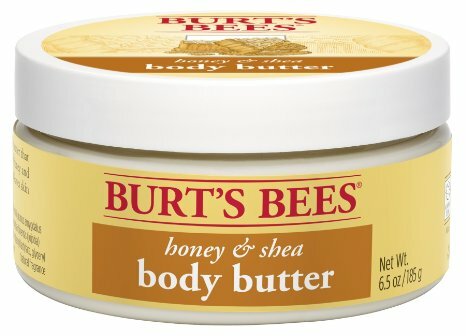 I absolutely loved it because it smelled really nice, and did improve my bumps a little bit. It wasn't expensive, so I stuck with it for a couple of years, since there wan't really an alternative that worked better. In conjunction with this, I read that coconut oil could help improve the bumps, so I made a coconut sugar scrub to use in the shower. It really helps to moisturize my skin, and also gently exfoliate it a bit. I don't use it that often anymore, simply because it's a little messy to use in the shower, and I don't really have the time to keep up with making it in college. 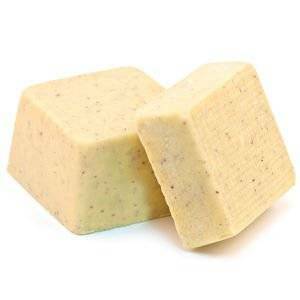 I also tried the Lush Buffy Body Butter, which was a really good lotion bar, but didn't do much in the way of improving my KP. It was a nice replacement for the coconut oil sugar scrub since I didn't have to actually make anything, however, it wasn't worth it for me to keep buying it. Plus, it was a little too abrasive for my sensitive skin. Last year, I saw a commercial for a lotion from Gold Bond called "Rough and Bumpy Skin," and was really eager to try it. I read reviews of it online, and they were all really positive, so I decided to give it a try. I again gave it a couple of months to really start working, since it takes a while for any treatment of KP to have an effect, and I was pleasantly surprised! No, not all of my bumps are gone, but they are greatly improved. I still have them, but I wasn't expecting for this to be the cure-all bump-slayer, because these little suckers are incurable. I'm not sure if they are going away simply because I am getting older, or if this body lotion is really doing its job. Either way, this lotion is really moisturizing, and comes in a huge tub that lasts me for a couple of months. It doesn't have a smell which is really important for my skin, because it typically does not tolerate scented products. I slather it on all over my body right after the shower (which is the most important time to moisturize! ), and my skin is nice and moisturized for the rest of the day! 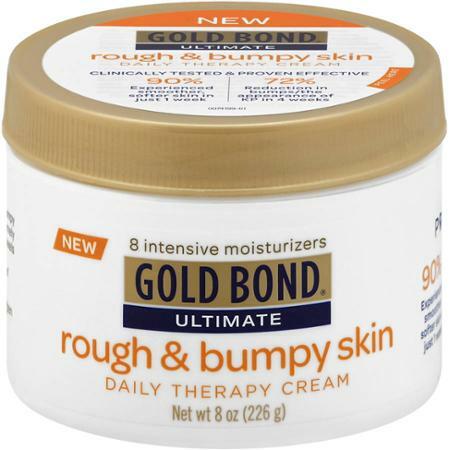 This product is also really great for the winter when my skin is especially dry. As far as how I manage my KP, I have found a routine that really works for me. I exfoliate my arms (gently!) once or twice a week with the Simple Smoothing Face Scrub, and use the Rough and Bumpy lotion everyday as soon as I get out of the shower. This works for me, and I have been through many different products to get here! Different things work for different people, so make sure you find out what helps you the most, and stick with it! My mom always told me my KP would get better as I got older, and it really has been true for me. 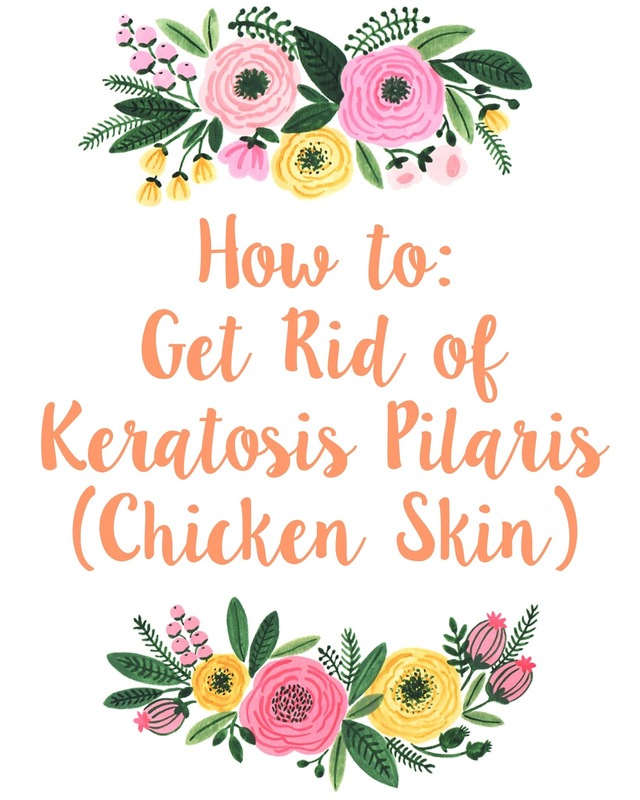 However, waiting until you're 30 for your KP to improve is really frustrating when you are young and unhappy with the way your skin looks, so try out a couple of different ways to see what helps! I also made a video about this, which you can check out here! This is NOT a sponsored post, and all opinions are mine. So nice to see a post on KP! I've had this forever- a lot of people in my family have it- I remember I used to squeeze the little bumps and have no idea what the heck it was haha I have to say though that it has greatly improved with my age. Hopefully it goes away completely by time I reach my 30s! I used to do that, too! Haha my mom always used to tell me not to, but I was convinced that it would improve it. And that's good - it's good to know that someone else's is improving as well!